Wish I'd remembered to take some when flying last year. Welcome back... these are very nice.. thank you for showing these.. this is a view I never see asI do not fly..
Beautiful shots! I always like flying above the clouds!! Welcome back... wow, those are amazing shots... absolutely beautiful!! I always wonder how birds view our world. Nice series of different clouds. This is different. Love it. Beautiful shots form the plane! Great sky colage! Well done. This was a good sky watch!! How nice! I love the view. this is a great post for Sky Watch Jul! It's great to have you back. Welcome back. I love looking out over the clouds like this. Beautiful. I'm glad you thought of us as you flew. These are just great! I was so excited to hear you are from Jakarta. Hope you had a great vacation back in your home. 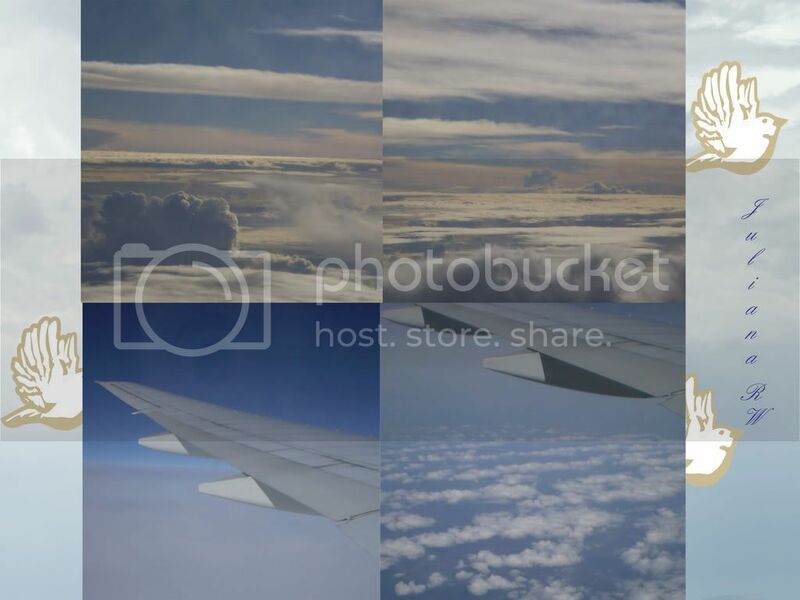 Great photos from the plane, and as you know, the skies in Jakarta are rarely this nice. Great photos, i love the soft colors.